One slight difference: they're hyenas. Yes, that's right - they're covered in fur, have tails tucked into their trousers, and they really, really like to laugh. 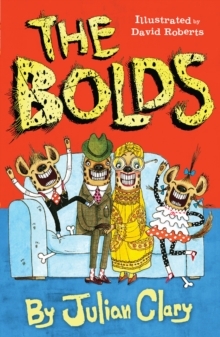 So far, the Bolds have managed to keep things under wraps, even when their children Bobby and Betty were born. But the nosy man next door smells a rat (or a hyena), and a trip to the local wildlife park, and the brilliantly wacky heist that results, could be the end of Teddington's best-kept secret. Whatever will the neighbours think?